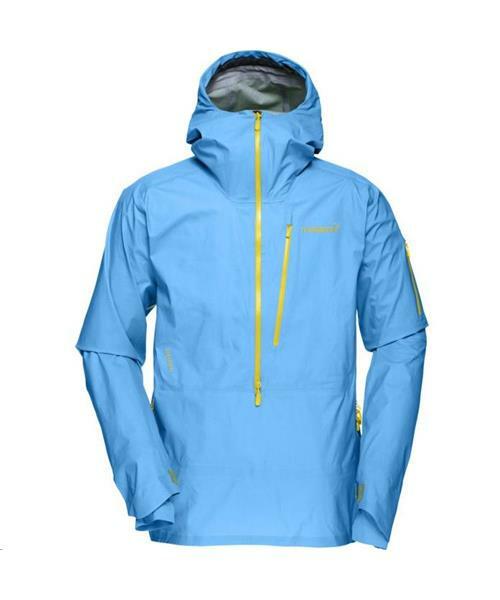 This product was built to be Norrona's most light weight, most breathable backcountry freeride shell for men. Waterproof and windproof, made out of GORE-TEX® Active, this jacket weighs under 500 grams without the powderskirt. It has a unique 3/4 length zipper with 3 sliders for customized front venting, and full length underarm zippers all the way to the wrist. It also includes important features like hand gaiters, mesh pockets, removable powderskirt and an improved hood with a single-handed back adjustment.